It’s fair to say that Australia has suffered significantly at the hands of destructive foreigners. One of the worst offenders? Cane toads, introduced from South America in 1935. 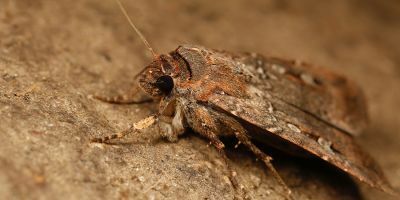 The ugly invaders have hopped across Australia in a super-toxic plague, killing swathes of naïve native animals that tried to munch on the toads’ poisonous hides. However, some animals would have managed to avoid a lethal dose of the cane toad toxin. They would suffer some sickness, perhaps nausea, but they’d survive. And so, for the same reason that some humans can’t stand the smell of Malibu after a big night on the stuff, some native animals have learned that cane toads are best left off the menu. We’ve known for a while that this sort of conditioned taste aversion (CTA) can be used to teach animals. Captive quolls have been taught that eating toads is a bad time, and when released into the wild, they’ve stuck to the toxin-free diet. But can we apply this theory directly to wild quoll populations, protecting them from an amphibious onslaught? How, when they’re not bound by fences? A recently published paper has shown that it might be possible, and it might require a lot of sausages. Of course we’re not talking Coles’ finest homebrand bangers. The sausages used in the project were made from 15 grams of minced skinned adult cane toad legs, one whole teenage toad and 0.6 grams of thiabendazole, a harmless but nausea-inducing chemical often used to treat hookworms in livestock. Collecting enough cane toads was a real community effort, with the Australian Wildlife Conservancy asking the East Kimberley community to contribute any toads (dead or alive) they happened to come across. When early quoll-conditioning trials proved successful, sausage production had to upscale. Instead of the researchers having to assemble sausages by hand, production was outsourced to the Harvey bait factory. But how did researchers know these sausages could help in quoll conservation? 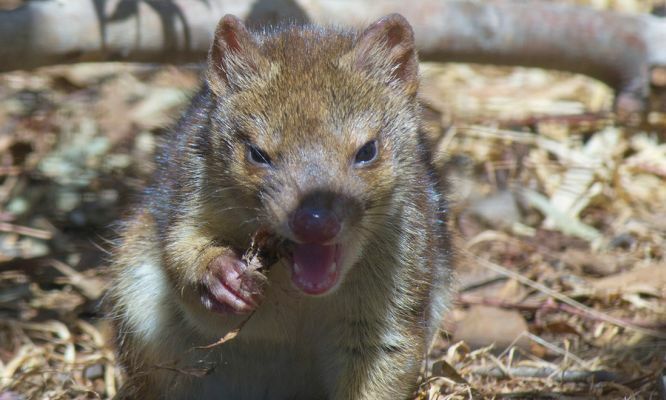 Researchers fed some toxin-laced toad sausages to a group of captive quolls. Another group of quolls received an unlaced beef sausage. 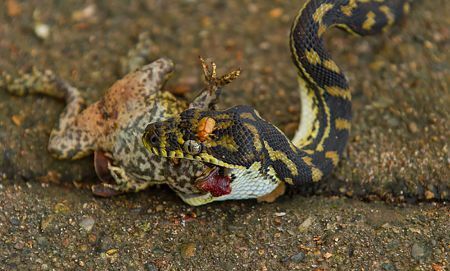 When presented with a dead adult cane toad afterwards, it became clear that the first group of quolls were sufficiently scarred from their initial toad-meat encounter as they appeared reluctant to feed on it. So the sausages worked—they were eaten, and they actually had an effect on quoll behaviour. But could they be used in the wild, where quolls would have other prey options? To answer this, researchers dispersed more toad sausages around Mornington Wildlife Sanctuary in central Kimberley, each accompanied by a camera trap. 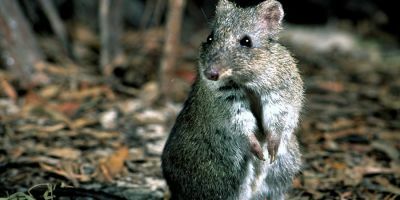 Indeed, snapshots proved that, more than any other animal in the sanctuary, quolls readily snacked on the cane toad sausages. Theoretically, this means that cane toad sausages could be deployed en masse in areas under threat from cane toad invasion, teaching the quolls in advance that cane toads should be avoided. The problem that researchers are now grappling with is how do you make sure that the timing of sausage-dropping is in sync with the arrival of toads? Because their research shows that, after 4 or 5 months, the aversion effect seems to wear off. Unpredictable wet seasons make it difficult to know exactly how fast and in what direction cane toads will move. And as harvesting enough toads to create sausages requires concerted effort, researchers don’t want to be dropping the sausages around willy nilly. Dose level is also a concern to these researchers. In their trials, a very small amount of thiabendazole was used to ensure no animals lives were threatened. 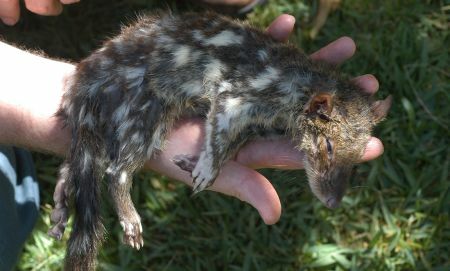 But the captive quolls they studied were quite small, whereas in the wild, they can grow much bigger. The bigger the animal, the more thiabendazole required to have an effect. But how do you then ensure that smaller animals don’t take a bite of grown-up sausage? Whilst the process clearly needs a little refining, it’s a promising leap forward in the fight against cane toads. Once the scientists have perfected the sausage, they can begin widespread distribution, which just might involve masses of them being lobbed out of helicopters. And that means the sausage making must go on and more cane toads must be minced. If you’re in the East Kimberley and you come across a suspect cane toad, you can drop it off at any one of these collection points. If you’re not lucky enough to live in the Kimberley but find one of these foreign invaders, follow these tips instead.